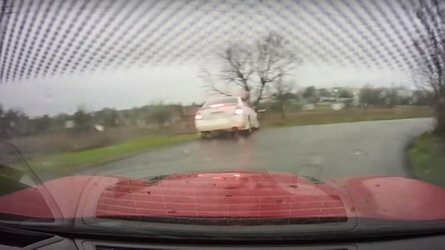 Adding sportiness where no one asked for it. Ford is adding another member to the new Fiesta family, which is, unfortunately, not available in the United States. 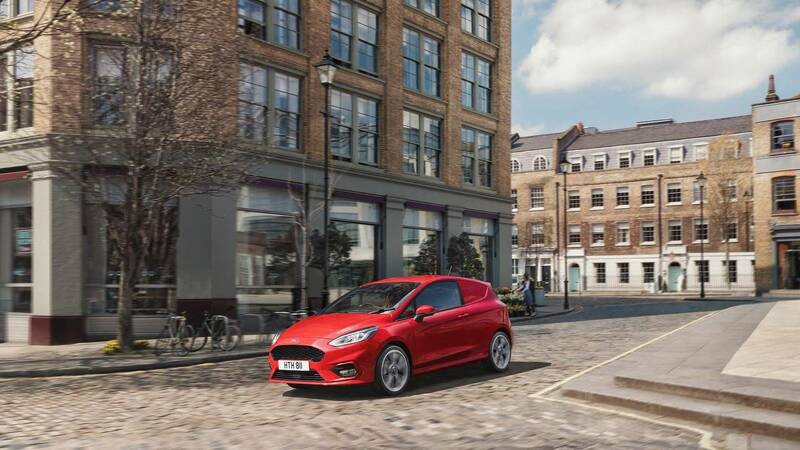 The Fiesta Sport Van, which joins the already available Transit van, Transit Custom, Transit Connect, and Transit Courier in the brand’s LCV range (depending on the market), marks the return of the Blue oval company to the urban hatchback van market. Based on the latest generation Fiesta, the small panel van has a compact three-door body with a practical load compartment capable of carrying approximately 35.41 cubic foot (1.0 cubic meter) of cargo with a gross payload of around 1,102 pounds (500 kilograms). The load area comes covered with durable sidewall trim and a rubber floor covering with four tie-down hooks. 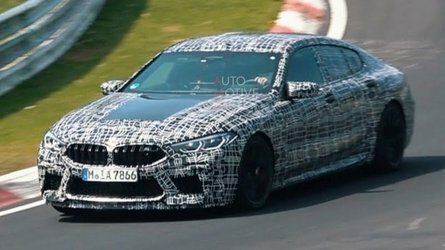 Two powertrain options will be available for customers – either a 1.0-liter EcoBoost turbocharged three-cylinder gas unit with 125 horsepower (93 kilowatts), or a 1.5-liter TDCi diesel with 120 hp (89 kW). Fuel efficiency and CO2 emission figures will be released soon. The cabin of the Fiesta Sport Van should look pretty familiar to you, as it basically mirrors the interior of the standard Fiesta hatch. 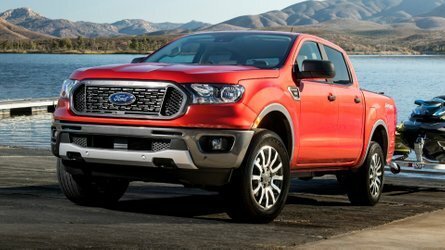 On board you’ll find the latest generation SYNC 3 Ford infotainment system with AndroidAuto and CarPlay connectivity, and a tablet-style eight-inch touchscreen display. An array of assist and safety features is also available (as standard or optionally), including pre‑collision assist with pedestrian detection emergency braking system, adaptive cruise control, and blind spot information system. 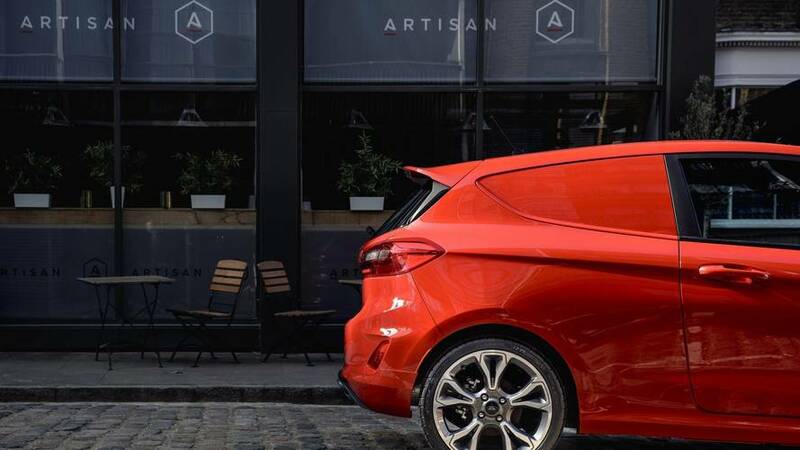 For customers searching for some sportiness in their business, Ford will be happy to offer an attractive design package for the new Fiesta Sport Van, which includes ST-inspired front and rear bumpers, and up to 18-inch (!) alloy wheels. 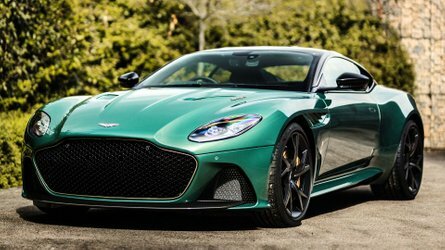 Similarly-styled upgrades are also available for the interior, where the marque will offer revised seats, gear lever, pedals, steering wheel, and trim materials. Responding to strong customer demand, the Fiesta Sport Van returns to the Ford commercial vehicle line-up in autumn this year. 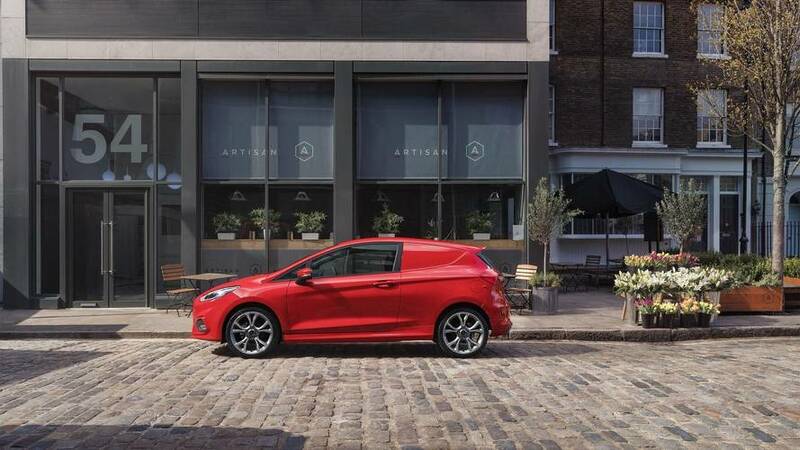 Based on the latest multi-award-winning Fiesta passenger car, the all-new Fiesta Sport Van provides a stylish, compact and economical vehicle for businesses of all sizes. Inside the three-door body, there is a practical load compartment capable of carrying approximately 1.0 cubic metre of cargo with a load length of almost 1.3 metres, and gross payload of around 500kg. The load space features a composite and mesh full bulkhead, durable sidewall trim, and a tough rubber floor covering with four tie-down hooks. 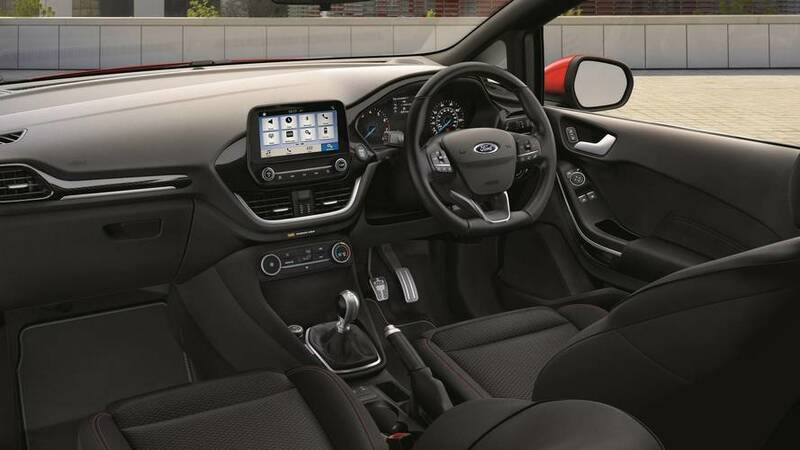 The all-new Fiesta Sport Van’s cabin provides a smart and comfortable working environment, trimmed with attractive, hard-wearing materials, and providing the latest interior technologies including Ford’s SYNC 3 communications and entertainment system. Compatible with Apple CarPlay and Android Auto™, the SYNC 3 system is standard, and comes with a floating, tablet-inspired 8-inch colour touchscreen. Using the Ford SYNC AppLink feature, drivers are able to access a wide range of key apps from their smartphone using the large display in the vehicle, now including the popular Waze traffic app and Cisco WebEx. Business customers also benefit from the convenience and efficiency delivered by the new FordPass Connect on-board modem for connectivity on the move. 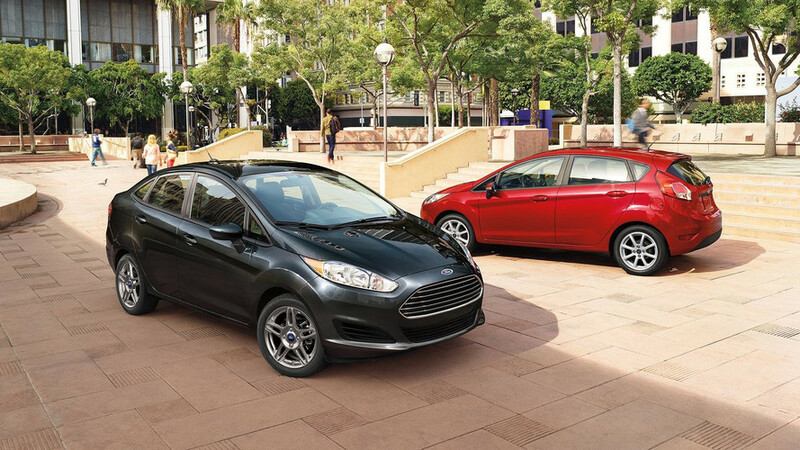 Like the Fiesta passenger car, an unprecedented range of driver assistance technologies can be specified to enhance the Fiesta Sport Van’s comfort, convenience and safety, including Ford’s Pre‑Collision Assist with Pedestrian Detection emergency braking system, Adaptive Cruise Control and Blind Spot Information System. The comprehensive suite of technologies helps urban van drivers overcome typical daily challenges, such as Cross Traffic Alert to support easy and safe parking, plus Traffic Sign Recognition and Adjustable Speed Limiter to help avoid speeding fines. For customers wanting the ultimate in sporting style for their business, the all-new Fiesta Sport Van is available with unique front and rear design treatment, colour-coded rocker panels and up to 18-inch alloy wheels. The sporting theme continues inside the cabin, with revised seats and trim materials, as well as unique steering wheel, pedals and gear lever. Adjustable Speed Limiter and Lane Keeping System are standard, heated seats and steering wheel are optional.